Idli is one of the main South Indian specials for Breakfast. It is a evergreen favourite from kids to adults and is really a healthy diet for all especially Diabetic patients. Rinse and soak rice and urad dhall seperately in water for 4-5 hours. Grind the two seperately, and mix them together with salt. Keep it overnight, and make idli using idli pan. Chop onions, tomato into nice pieces. Peel the skin of potatoes and cut into halves. Roast the dry corriander seeds in mild heat and grind along with dry chilli, coconut, cloves and fennels with little water. Heat oil in a casserole. Add onions, tomatoes, gren chilli, salt and potatoes. Stir well till tomato smashes. Now add ginger garlic paste and coconut paste. Stir well and add a cup of water. Close the lid. 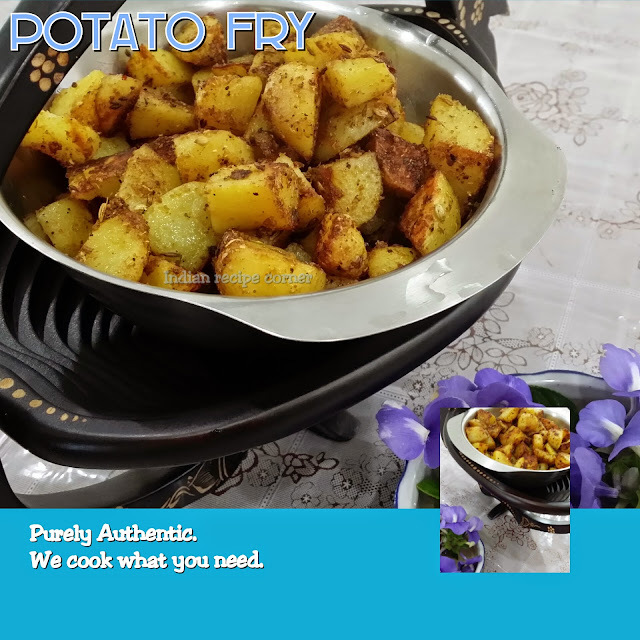 Allow to cook till potatoes are cooked. Garnish with curry leaves. This gravy is goes well with idli, dosa and chapathi also. oh my, want to grab that plate right away; idli and potato kurma look fantastic !!! delicious combination !! !